Are you looking for a Lock NW London Security Company to Open, Replace, Change or even Installing new units, as well as buying, repairing and making keys for them, when keys are not available? Here at our Traditional Shop base in North London, where we have been established for more than 35 years, we do all that plus more. Need any advice on Lock NW London Service, or prices for work to be undertaken and you are on a mobile unit, click on the link below to be diverted to our Locksmith team. If you are looking for a premier Security Service to OPEN....REPLACE....CHANGE....FIT....REPAIR....MASTER AND PASS either at our shop base or to your premises, then look no further than our Company The Number "ONE" Lock NW London Security Company, covering the whole of North London, North West London, The Home Counties and areas local to these. Ou Services are recommended by Police, Housing Associations, Insurance Companies and Councils plus many others. 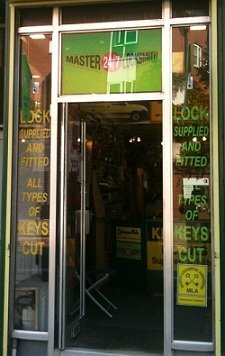 THE NUMBER "ONE" LONDON LOCKSMITH COMPANY. REMEMBER!!! !....All new complete units fitted by our engineers carry our no quibble guarantee. REMEMBER!!!! We do not charge a call out fee, we only charge what you have been quoted, when contacting our office, plus parts, subject to being given the correct information. Our Carpenters and Locksmiths offer a fast reliable Service, with a same day Lock NW London Fitting, Opening, Changing as well as Repairing Service. We supply and fit all brands. UPVC LOCK NW LONDON SPECIALISTS, FOR DOORS AND WINDOWS.....IN OPENINGS.....REPLACINGS.....REPAIRINGS.....FITTINGS. You will not be hit with hidden charges......We do not tell you it is a £45 - £55 Call Out then charge hourly fees or fitting fees on top. WHAT YOU ARE QUOTED IS WHAT YOU PAY. 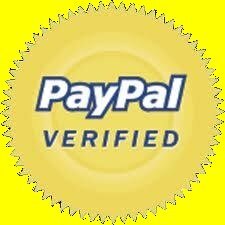 OUR LOCK NW LONDON CHARGES ARE FAIR AND TRANSPARENT. WHAT DOES OUR COMPANY DO WITH ANY LOCK? We sell every type of security unit, whether it is a cylinder or mortice unit, as well as UPVC units. We have become known as the Security Shop of North London Our Security Shop Service are agents for most leading makes of manufacturers and a main dealer for MUL-T-LOCK we can cut their registered keys, with the registered card. WHAT ELSE CAN WE DO WHICH WILL SAVE YOU MONEY AND MAKE YOU ANOTHER ONE OF OUR HAPPY CUSTOMER? THE NUMBER "ONE" SECURITY COMPANY FOR YOUR LOCK NW LONDON FITTING SERVICE.